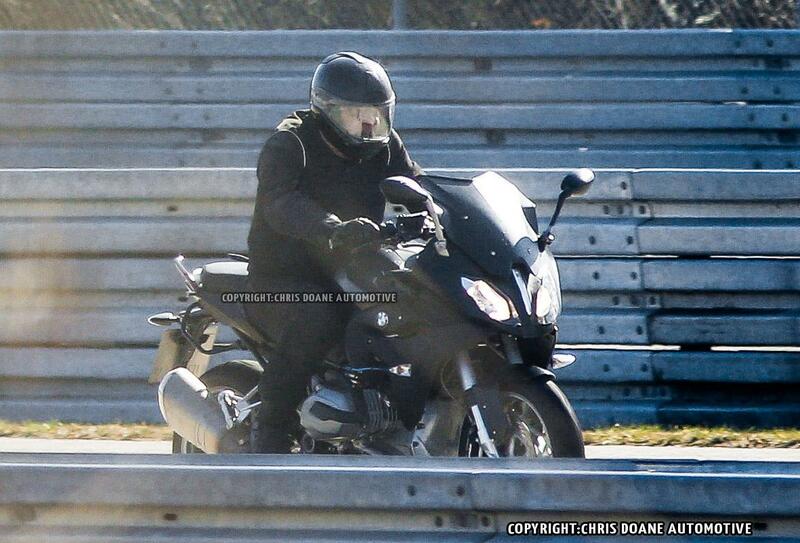 THIS is BMW's new 1200 boxer-powered sports tourer, spied during testing in Germany. It looks to be equipped with the latest liquid-cooled incarnation of the 1170cc boxer engine currently found in the R1200GS, making 125hp and 93lbft. The model will sit in between the F800GT sports tourer and R1200RT full-dress tourer in BMW's range, and offer competition for the likes of Honda's new VFR800. The new 1200 boxer sports tourer will fill the gap in BMW's range left by the air-cooled R1200ST, discontinued seven years ago. The new model seems likely to be called the R1200GT, marking it out as a bigger sports tourer alongside the F800GT (the predecessor of which was called the F800ST). It's expected to be unveiled at the Cologne motorcycle show in October as a 2015 model, along with the K1600 bagger and liquid-cooled R1200R roadster spotted testing at the same time.